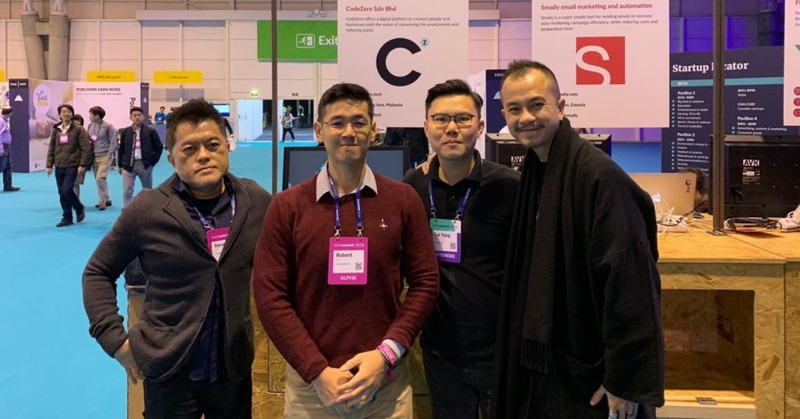 CodeZero is a Malaysian technology company offering a digital platform to connect people and businesses. The people behind it have created the ZERO BrandCard to digitise the physical business card industry in hopes of conserving the environment and reducing waste. When two Malaysians, Steve Koh and Amano Young were working on designing business cards as a branding assignment for an entertainment company, they realised that they were limited to a 8cm x 5cm paper card. “All companies have a unique identity, but the small dimensions end up restricting the amount of information and design of the paper business card,” said Amano Young, the co-founder of the ZERO BrandCard. “It’s such a pain to collect piles of cards without organisation, and surveys show that 9 out of 10 cards are thrown away after a week,” he added. After some research the both of them found that current digital solutions available were of the “scan-and-save” concept where it was still using conventional 2D printed cards. With the determination of going totally paperless, they founded CodeZero and its digital platform ZERO BrandCard on September 2017. The two founders, Steve Koh and Amano Young have more than 27 years of expertise in the creative, advertising, and marketing industry. Both have also founded branding and creative companies of their own, hence they’re no strangers to entrepreneurship. According to Amano, paper business cards are a burden especially towards nature as it’s estimated that 15 trees are cut every minute to print them, and in the end people throw them away. “With the threat of climate change, the environmental damage caused by this unsustainable practice has to stop,” he said. They have witnesses it themselves, as whenever the duo goes to business conferences, they always face a problem with business cards. “We may run out of cards, lose track of someone’s card, or wish we remembered more about the person other than their email and phone number,” said Amano. With that said, they want to make a change to this culture by advancing forward with technology. According to him, the whole market that they’re looking at involves every employee out there with approximately 1.8 billion people in Asia Pacific, and 3.2 billion people worldwide. The ZERO BrandCard app is a full digital solution providing authenticated company information and it supports a centralised system that collects real-time data and updates from your contacts. Furthermore, it also ensures that company cards are legitimate by verification through an official company registration website, such as CTOS in Malaysia. For users to share to non-app users, they can share their contacts through external platforms such as through SMS text, email or social media. For two users who have the app, they can do it through a one-to-one exchange within the app. Users can also use a broadcast-to-all option within the app that can be used to share the digital card with everyone in a room. Understanding that it can be a hurdle for users to adopt the ZERO BrandCard, they’ve made sure that users would transition into the app as smooth as possible. “It is important that it can be easily integrated and accessible even if you wanted to share with someone who doesn’t have the app,” he said. As exchanging physical business cards to one another has become our culture, Amano understands that educating users is key to getting them to adopt their concept. However, he believes that the idea of ditching traditional business cards is not as radical as it may seem as a large chunk of our lives have already veered into the digital world. Think e-commerce, e-wallets, online identities and many more. The benefits of going digital can also save time and cost as instead of spending resources to order a stack of business cards for employees, companies can simply download the app and assign the cards to employees all under 5 minutes. Since the platform is free-to-use, the way ZERO BrandCard will monetise is once a company collects their first 500 contacts, their next 500 contacts will then be charged through a monthly tiered subscription fee. The first tier of charge is USD3.99 for 501-5000 contacts, the second is USD15.99 per month for 5001- 20,000 contacts, and the third is USD29.99 per month from 20,001 to unlimited contacts. According to the team, this is only a fraction of what companies pay for paper business cards. 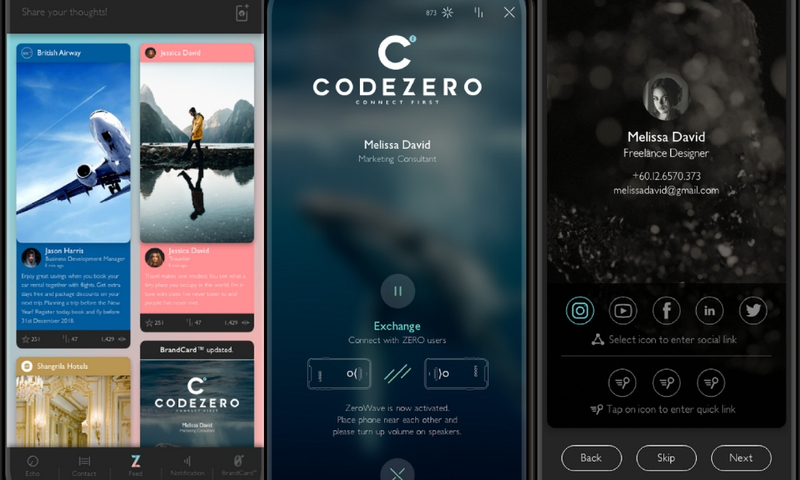 Just last year CodeZero raised their first round of funding in May, securing a total of USD1 million, and they hope to get 50,000 users by the end of this year. However, when speaking about their finances, Amano mentioned that they’ve just launched their beta to the public in early January, hence they don’t really have any numbers to show. On the other hand, he emphasised that they’re employing a different metric system for growth: with a focus on their user base, the growth of the company, and maturity of the app. As for the future of CodeZero, they’ll be keeping in line with their 6-year business strategy, and contact exchange is only their beginning. 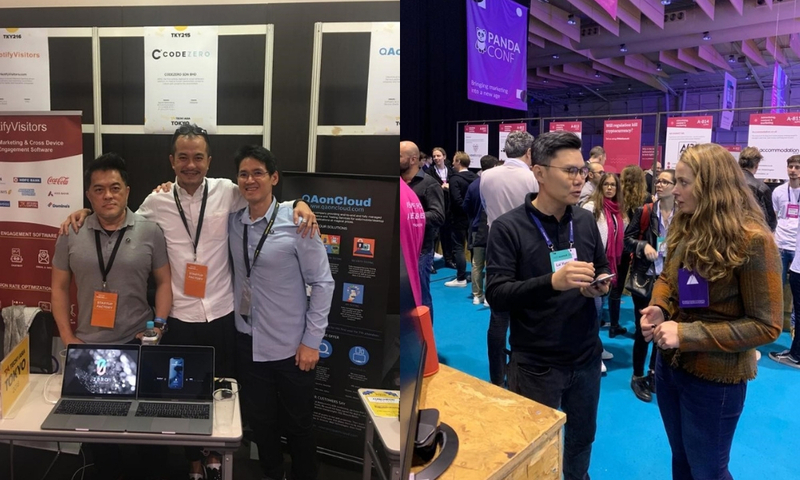 “We have lots of plans to grow beyond just a corporate digital business card, and we look to complement our BrandCard with usabilities that increase productivity, reducing waste and the environmental impact,” said Amano. However, for this year, they’ll be focused on building the brand in the Malaysian market and then expand further throughout Asia Pacific in the second year. “The ultimate goal is for ZERO BrandCard app to be an essential household tool for all data and authentication process,” he said. You can download the ZERO BrandCard app on iOS devices here and Android devices here.